Oil Cooler Seals for 2002-2006, R53 MINI Cooper S, and 2005-2008 R52 Cabrio. 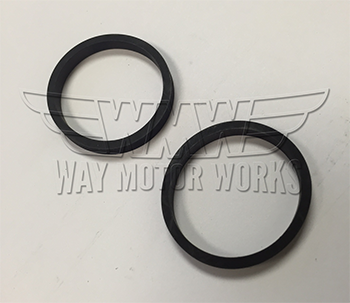 These rubber seals go on the oil cooler to oil filter housing. As these get old they brittle and will start to leak. If you have your oil cooler off these are a must replace item. sold as a pair of oil cooler seals.